Col. Chris Hadfield, formerly of the Canadian Space Agency captivated the internet during his latest stay at the International Space Station. 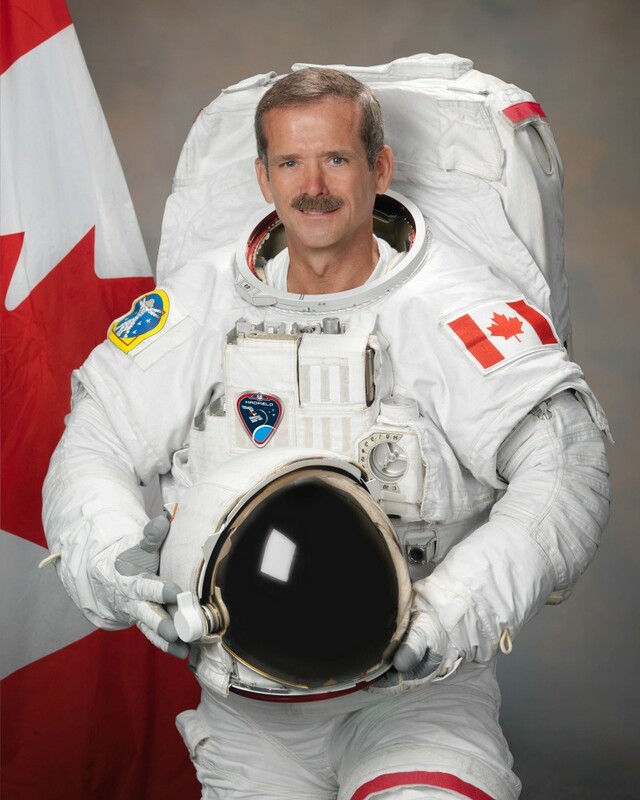 Hadfield created many informative videos during his latest mission. He engaged classrooms by fielding their questions about what life is like on the space station. In these videos he demonstrates how astronauts prepare food, sleep, wash their hair, shave, and perform their scientific duties while aboard the space station, but his videos that gained the most attention feature the astronaut and a guitar. Hadfield recorded a number of songs aboard the ISS, the most popular of which was his cover of the David Bowie song, Space Oddity. It circulated social media and gave engaged people who might not have otherwise bee at all interested in what was going on at the time in space. The video was viewed 22 million times and if you were one of those that watched it, count yourself lucky. On May 13th the video was taken down as permission was granted by Bowie for one year of play. 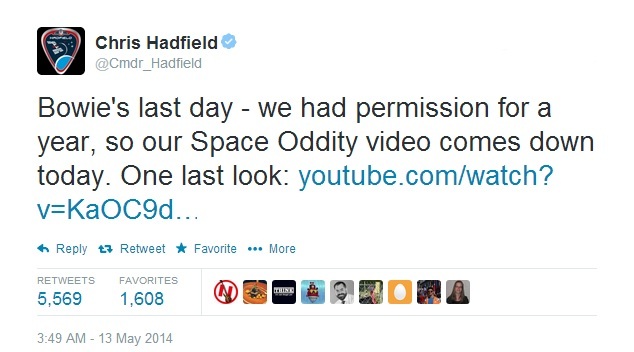 Hadfield’s cover of Space Oddity was released on YouTube on May 13, 2013 and was taken down on the same day in 2014. The video has been private for one week now and its fans are calling for Bowie to grant Hadfield license to make the video public again. Col. Hadfield gives his son, Evan, credit for being social media savvy and for helping him gather such a following during his stay in space. Hadfield’s Reddit following requested that he record the cover four months before his stay on the ISS was over and during his last few days aboard he recorded it. Now that the video has been taken down and perhaps due to the savvy of the Hadfield duo, that same Reddit following might be responsible for the preservation of the video too. On the day the video was to be taken down Hadfield’s social media presence reminded the internet that the video would be set to private soon and offered one last look before it came down. As users of the internet will do, they found ways to download the video. Perhaps through the dissemination of those copies the video will live on. But should it be that way? Apparently the legal issues of copyright in space have already been ironed out, but is there anything else to be said about the unfortunate fate of this video? In fairness, I have read that discussions are being had between Hadfield and Bowie to see if another license can be worked out. I’m not comfortable linking to one of the vigilante copies, but this video also recorded in space, is just as inspiring and is a good stand-in for the Bowie cover.